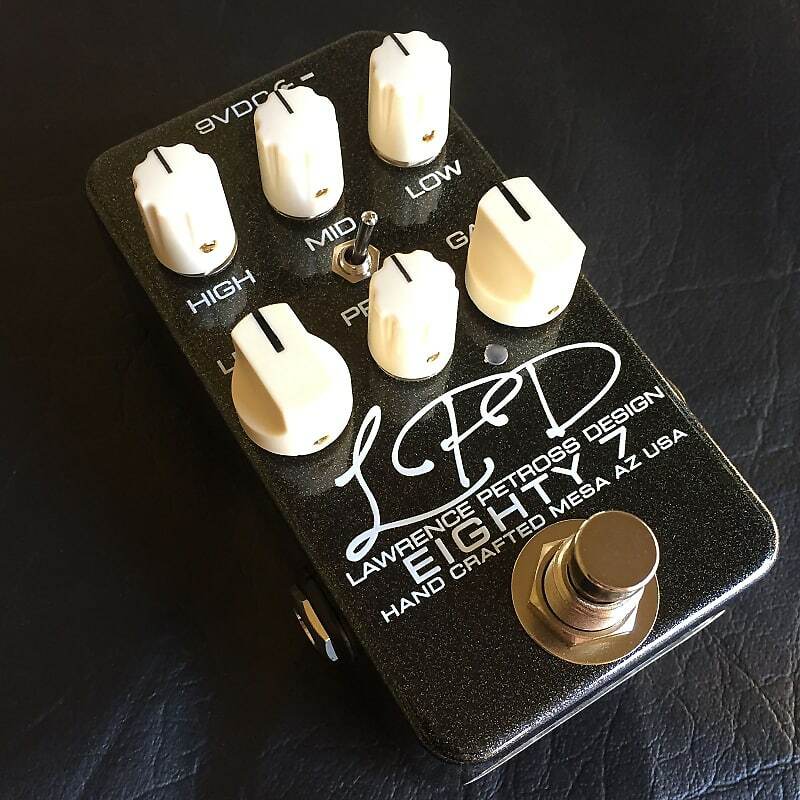 The LPD Eighty 7 Preamp was designed to deliver the great guitar sounds of the 80's. The aim of this design was to capture the modified Plexi tones and feel that Los Angeles recording studios were tracking in the 80's. 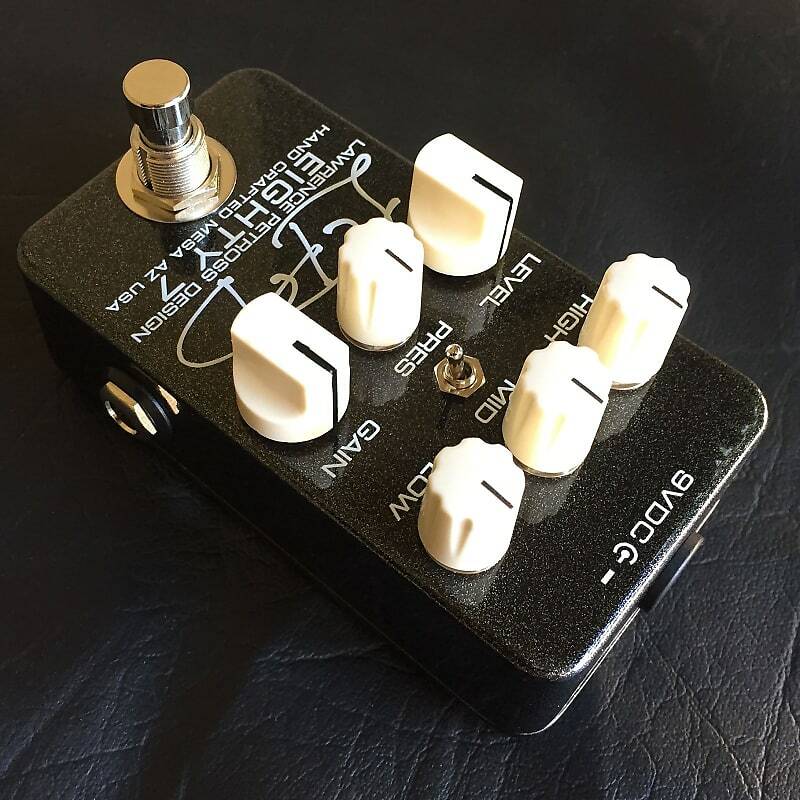 A full Bass, Mid, and Treble tone stack allows complete control over the frequency shaping of your tone. 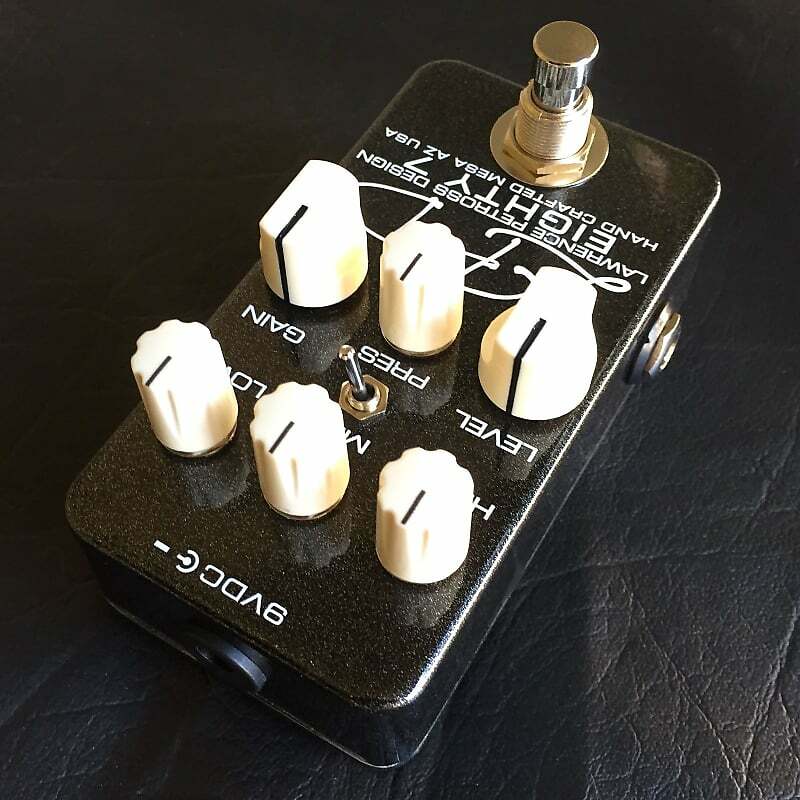 Presence control to add or cut sparkle to help cut through the mix or blend better with your chosen amp. Two modes, Green and Red, deliver a wide array of gain and tone combinations. Green mode is percussive and dynamic with plenty of body to punch through even the most demanding mixes. Red mode is more saturated and compressed for liquid leads and full chugging palm muted rhythms. 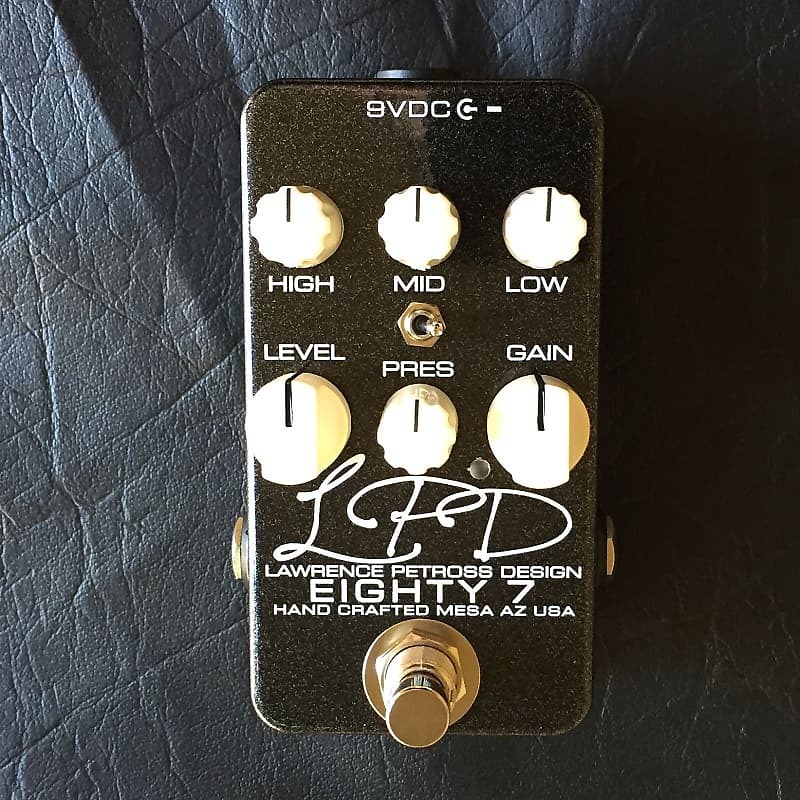 Whatever style of 80's guitar tone you prefer, the Eighty 7 can deliver. Built with top quality components and designed with durability and longevity in mind, the Eighty 7 can give as good as it gets. 24 volt internal operation from a standard Boss type 9 volt dc center negative power supply. Relay true bypass with Switchcraft open frame jacks. Sealed Alpha pots and laser etched graphics. 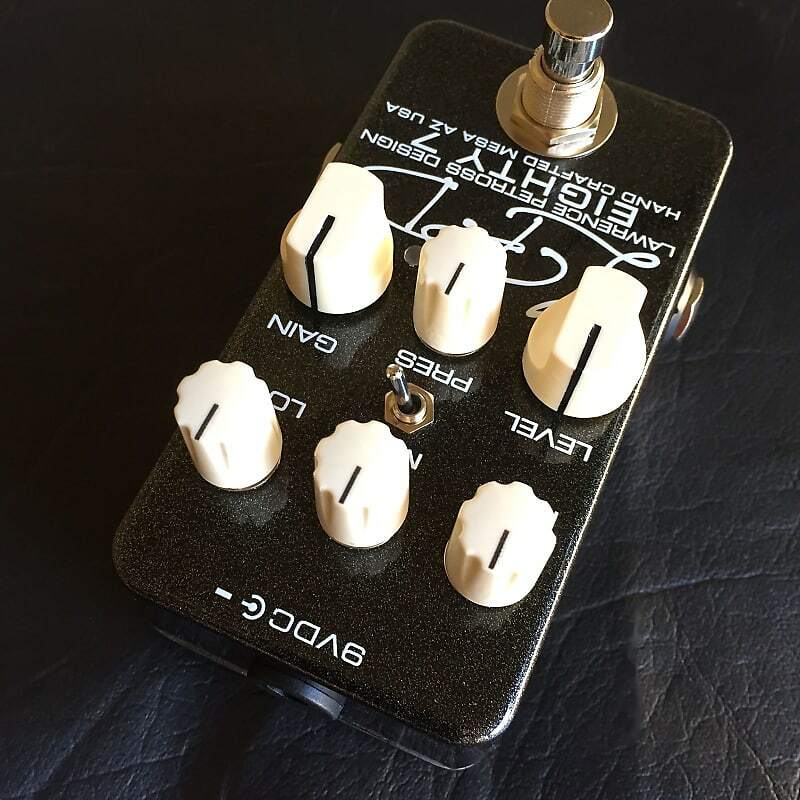 Size - L 4.5" x W 2.375" x H 2"
I personally build, sign and date each Eighty 7 preamp. Based on purchase price of $239.99 at 10% APR for 12 months. Excludes tax and shipping fees, to be calculated at checkout. Rates range from 10-30% APR. Choose from 3, 6, or 12 monthly payments.